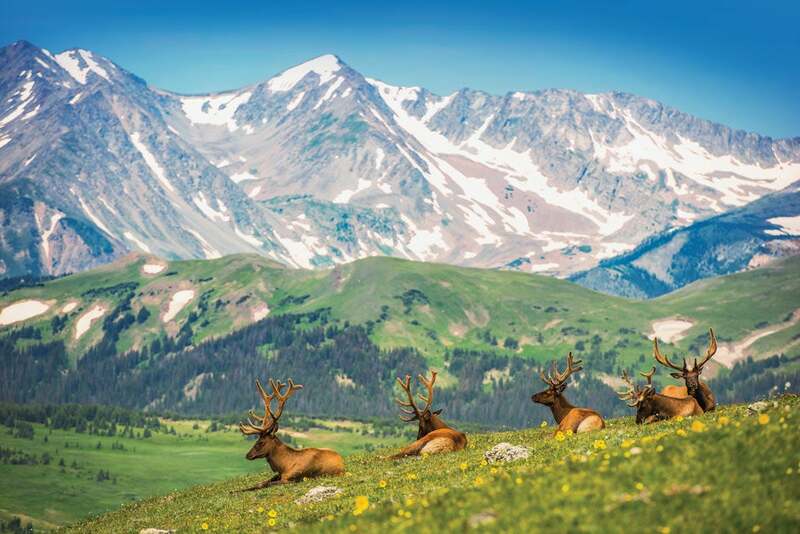 Don't miss these top sights in one of Colorado's most authentic modern cowboy towns on the way to Rocky Mountain National Park. Why go: This iconic store in Steamboat Springs, Colo., has been providing locals and tourists with items celebrating the town&apos;s cowboy heritage since Nov. 9, 1905. Tip: Get a photo next to Lightning, the fiberglass quarter horse that has stood on the sidewalk outside the store since 1949. Named after the family name, it was designated a historical asset by city council in 1995. Why go: Walk just a quarter mile on a gravel, ADA- accessible trail to reach this breathtaking 280-foot waterfall. Tip: From Lincoln Avenue (Hwy. 40), go north on 3rd Street and take a right on Fish Creek Falls Road. Drive four miles to the trailhead. It&apos;s $5/vehicle for day use. Why go: Steamboat is home to two different hot springs experiences. Tip: For family fun, head to Old Town Hot Springs in downtown where waterslides, a lap pool and more await. For a rustic experience in a beautiful setting, head out of town to Strawberry Park Hot Springs. Kids are only allowed during daytime since nights are clothing-optional. Parking is limited. Downtown Steamboat Springs restaurant where you can watch people tubing down the river. Why go: Spend an afternoon perusing Steamboat&apos;s historic downtown, which is full of great restaurants, art galleries and shops. Tip: Take a break from shopping and walk or rent bikes to explore the flat Yampa River Core Trail, a block from Lincoln Avenue. Learn more about Steamboat Springs, Colo., at steamboatchamber.com. From Bigfoot sightings to driving to the top of a 14,000-foot-peak, here are our tips to making the most of your time. Bonus? Most are free. Our favorite things to do in this town that prides itself on having a large heart include searching for art smattered across town and laughing in a garden. Looking for adventure that feeds the soul? Check out our top seven things to do including an adobe church, hot springs, the Turquoise Trail and a national monument..
A quaint, unspoiled cowboy town that is surrounded by the Rockies and the confluence of three rivers. Go on a cattle drive followed by whitewater rafting. Leaning up against the national park's west side, Grand County offers unparalleled outdoor opportunities without the crowds most ski towns have. There’s only one 14,000-foot peak in Colorado that you can reach by driving all the way up to the summit. It's 19 miles of hairpin turns to get donuts at the Summit House. Soak road-weary muscles in the revered hot springs of Pagosa Springs.